So, you just got engaged and you’re already stressing out over your budget? First of all, congratulations on your upcoming nuptials! To help keep costs as low as possible while you plan the decor for the most memorable day of your life, be sure to take some awesome do-it-yourself (DIY) projects into consideration. No matter what the theme of your wedding, paper lanterns make a gorgeous, almost ethereal addition to your ceremony or reception space. 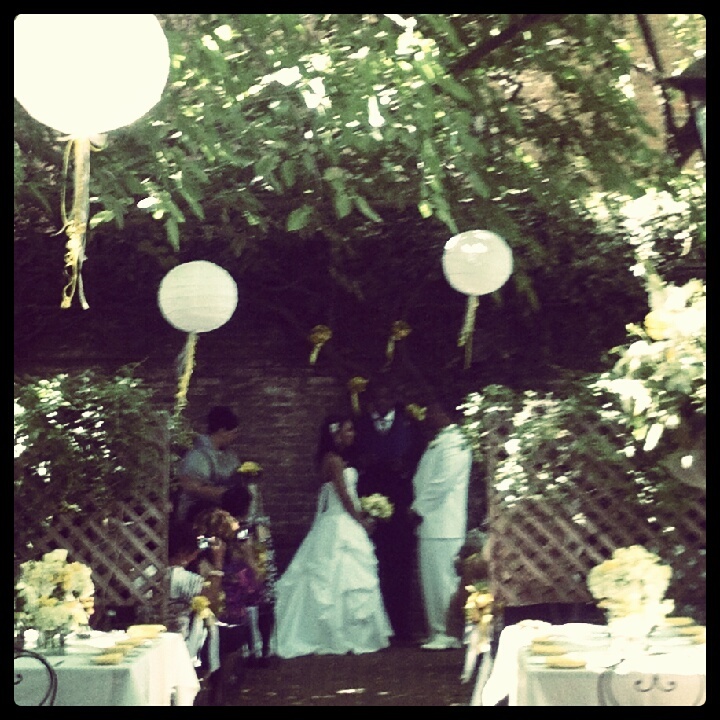 On Saturday, June 9th, 2012, the Catrina Maria Designs team had the opportunity to work at The Firehouse in Old Town Sacramento for Terrance and Tameka Tutt’s wedding. Their wedding colors were a sunshine yellow and charcoal gray, mixing the best hues of both light and dark elements. Combined with awesome music from Bryan Greenwalt with Music and More Entertainment and beautiful floral arrangements by Cheryl with Accents by Sage, the simple, yet very elegant, paper lanterns lit up the tree-shaded ceremony and reception spaces. 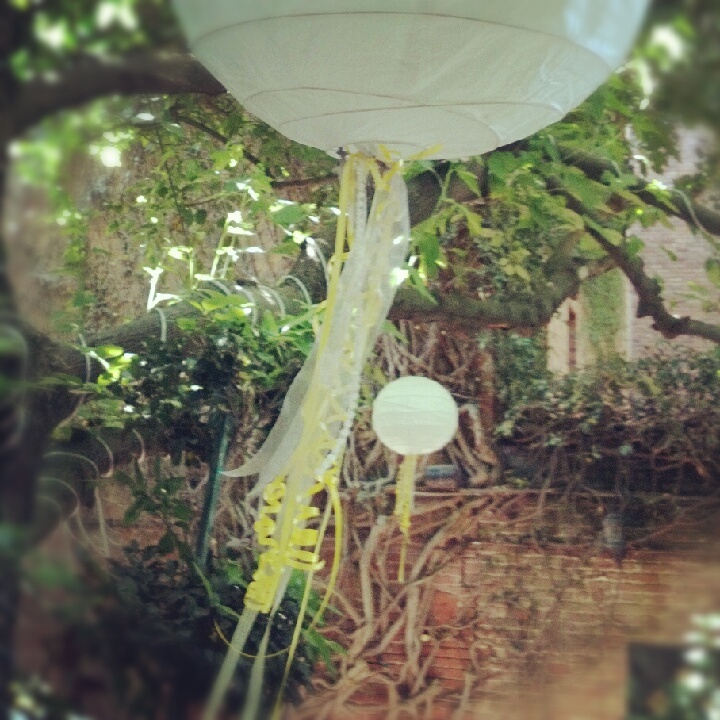 There are several ways to spruce up plain lanterns, but the CMD team chose to decorate these cream-colored orbs with some theme-appropriate strands of fabric, ribbon, and pearls. To achieve a flowy, blow-in-the-wind look, we simply tied these decorative pieces to the bar that holds the lanterns together. As is evident by the photos below, this elementary twist on DIY paper lanterns assisted in making this outdoor ceremony and reception space exquisite. NACE and The Expert Planners that make up The Venue Vixens share the stage!